From the time he was six years old, Van Shaw was raised by his Irish immigrant grandfather, Donovan, to be a thief - to boost cars, beat security alarms, crack safes, and burglarize businesses. But at 18 Dono's namesake and protégé suddenly broke all ties to that life and the people in it. Van escaped into the military, serving as an elite army ranger in Iraq and Afghanistan. Now, after ten years of silence, Dono has asked his grandson to come home to Seattle. This is an excellent continuation from the other side of story! The “Ringer” side. The way both are tied into each other; I look forward to many more continued books! One of my favorite books I've listened to in the past year. This book would stack up as a stand alone, but I'm thrilled this is a series! Bruno has done a great job with character development, back stories, and immersing the reader into the surroundings. With RC Bray at the helm, you cant go wrong with this series. this is a great story. one for the ages. I love R C. he is the man. Titan's Son brings a different perspective to the storyline. It is really well interwoven. You learn connections and the significance of prior events as you go along. Highly recommend! This is my third in the series. Enjoyed this one as well. Two of the books are from different perspectives which was different from other series that I have listened to. 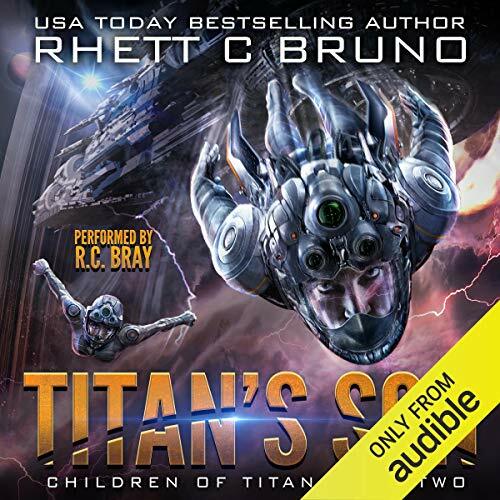 R C Bray is the best narrator ever. He makes action come alive. He also makes each character with a voice that is perfect for them. I love the story from the other side. This story does not need book 1. But the two together paint a very clever picture. keep them coming. but please cut back on the swearing. it just isn't needed. Even better then book 1. I went through it pretty quick as it kept me hooked. RC Bray is his usual genius. When I was a soldier I tried to put my feet in my enemy’s shoes to understand them and I realized that they thought that we are the bad guys because that’s what they’ve been taught , exactly what we have been told and believed. What I’m trying to say is that there are two sides to the same coin and the Author Rhett C. Bruno understand it enough to show us with this beautiful series how true it is, he also understand that wars are also about power, control and money. Bruno have translated all this beautifully written into this amazing series. 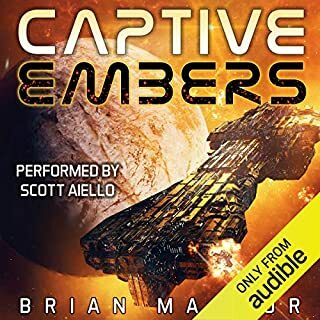 Excellent Science-fiction beautifully written, The characters are so real that you just can’t connect or understand them all, that’s not easily done but Bruno have and perfectly so. Once again one of the best if not the best R.C. 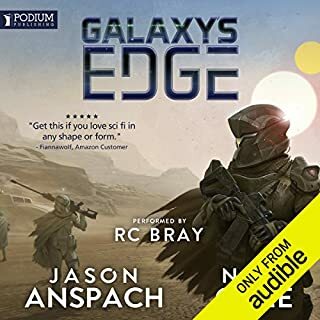 Bray have narrated this audiobook perfectly and as usual got it spot on with each character! And now comes the suffering part of waiting for the continuation ( still worth the wait ). Absolutely full heartedly without a doubt recommended for all. Yet another cool story from the titan universe, in this politics play a big part as we see just why the events of Book 1 unfolded. With another new set of characters to meet and some more history of Malcolm's to come across this sets the grit in even deeper , a great listen and one I'm more than happy to reccommend. 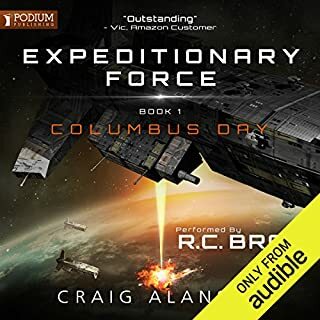 Rc Bray suits this story and his voice works very well especially after the initial audio. 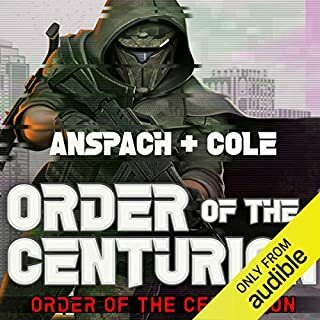 Cant wait for books 3 and 4 to come out if only so I can then have some great looking audio covers and even more time to listen and enjoy. Beautifully written, this book is a joy, exciting, with good characterisations of people to care about. Rhett Bruno has become one of my favourite authors on the strength of this book alone. Highly recommended as, too, is the also stand alone companion story, Titanborn. New edition, New name, New format: audiobook. Titan's Son, is still as thrilling and vibrantly exciting as the first time I read it many months ago. 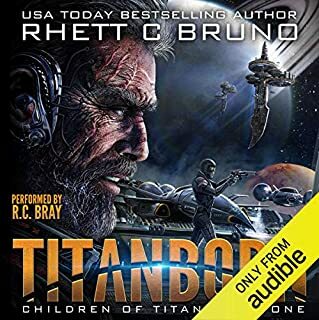 In fact, it's even better with the excellent narration of R.C.Bray breathing even more life (if that is possible) into the already well developed characters with individual voicing for each. 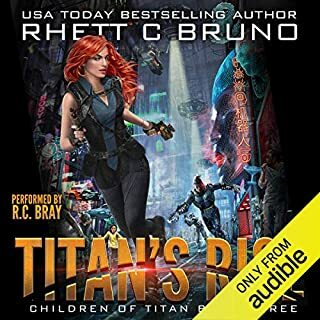 He also reads the story to perfection, his gentle voice following the tensions of the text and the excitements as they occur without taking anything away from the beauty of Rhett C.Bruno's writing. A perfect pairing of Author and narrator. This time, I have read the first two books of the trilogy in the order given ( this being book two) but it still remains the same as before - read book one, Titanborn, first, or this one. doesn't matter. Both illuminate the other and yet stand completely apart. But whichever order you choose, if you have any fondness for science fiction, or strong characters in an uncomfortable world emotionally stretched almost to the limit, or excitement, thrills, adventure, and imaginative writing, read them.